Sometimes you need a lot of power in a reliable package. Our 20amp C20 to C19 power cords are ideal for powering your network equipment that requires a more heavy-gauge power cord, such as servers, routers and network switches. 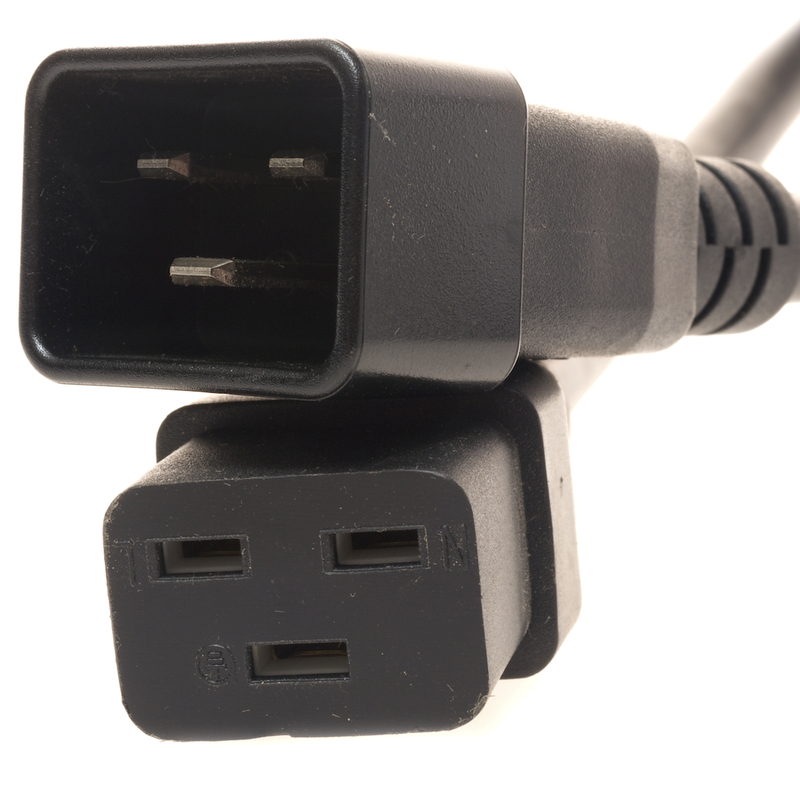 We keep a large number of C20 to C19 power cords in stock at all times so we can be ready to meet your needs with same-day shipping! 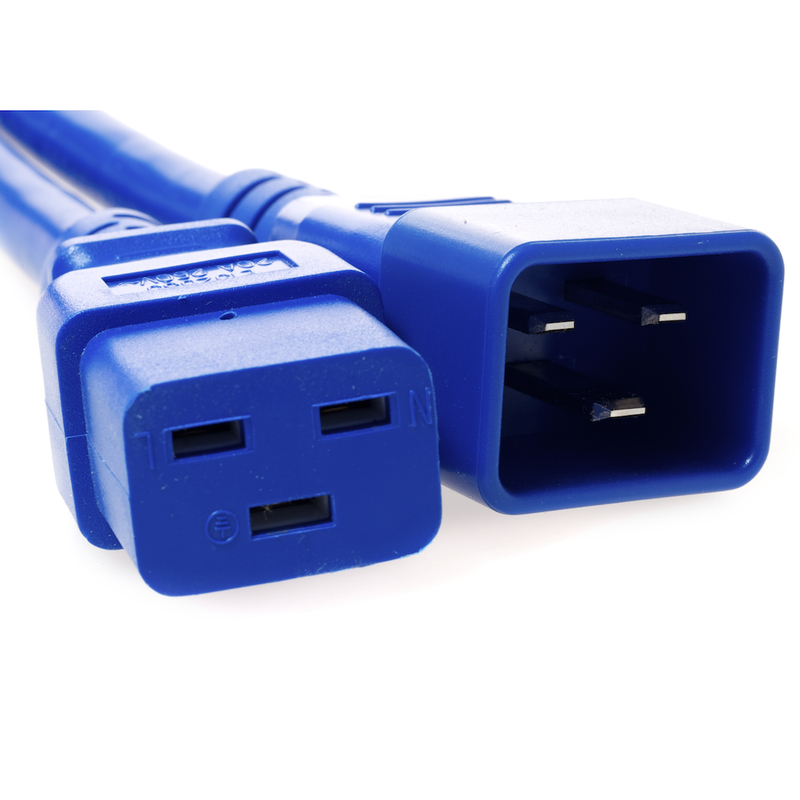 We have 20 Amp C20 to C19 PDU or UPS power cords available in your choice of several colors -- Blue, Black, Pink, Yellow, Red, Green, Violet, Orange, Grey and Classic White -- and different lengths. 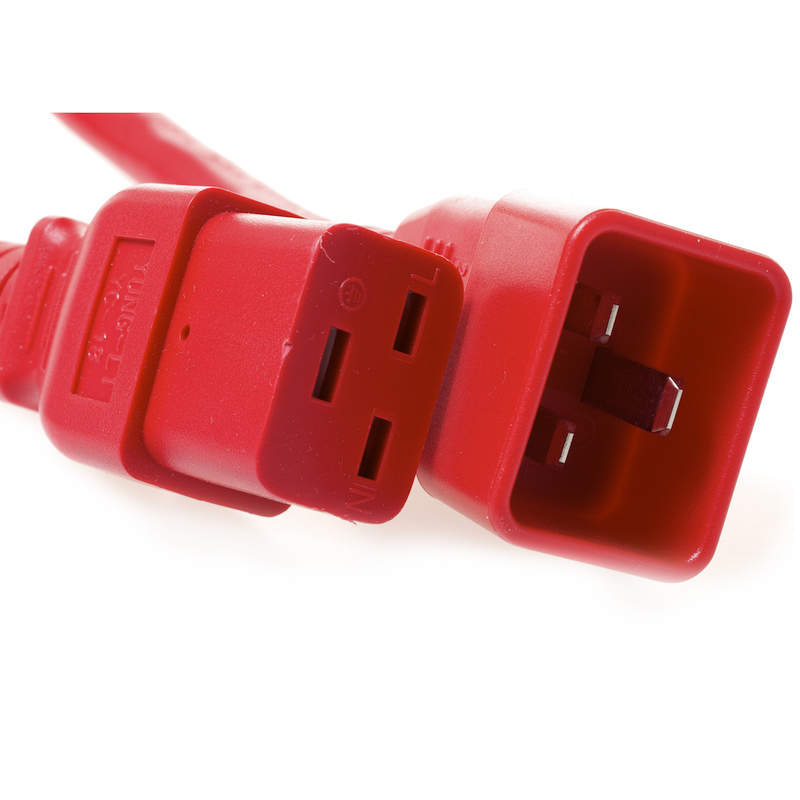 You can even choose the exact length and color of the power cords you need for your networking arrangement with our custom power cord builder that will help you configure your setup just the way you want to, with no excess cable. If you’re not sure if these C20 to C19 PDU cables are exactly what you need, just ask! At Cables.com, we are always available to answer any questions you may have about our products including dimension, capability, and performance levels. Our friendly and knowledgeable support staff does their best to respond quickly to your inquiries. 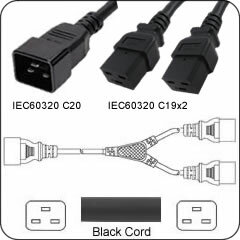 Cables.com has the most detailed and varied collection of C20 to C19 Power Cords available for order, with heavy gauge power cables at just about any size and any color that suits your needs. 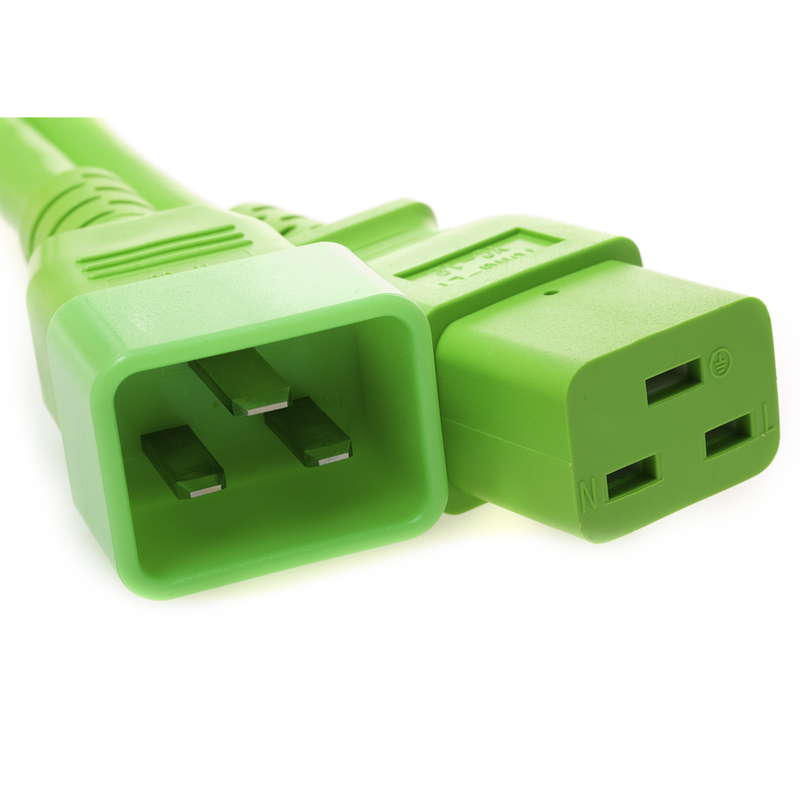 Enjoy our simple and secure online ordering, and place your order for the 20 Amp C20 to C19 power cords today! We offer a variety of C20 to C19 Power Cords at great prices. 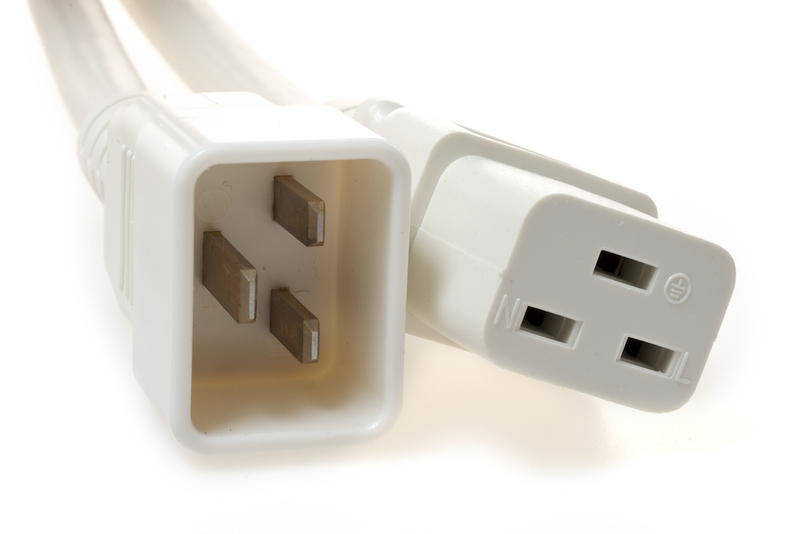 We maintain a large stock of C20 to C19 Power Cords and you can find just what you need. At Cables.com, we are always available to answer any questions you may have about our products including dimension, capability, and performance levels. Our support staff is friendly and helpful and will respond quickly to your inquiries. 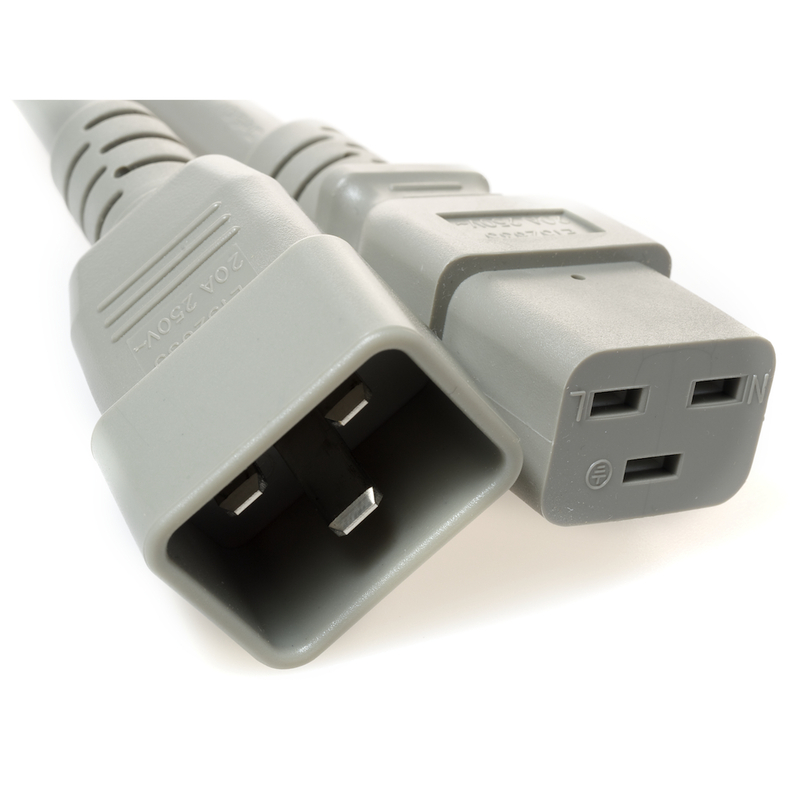 Cables.com has the most detailed collection of C20 to C19 Power Cords available for order at any size that that suits your needs. Kindly browse our available selection to find what you need and place your secure order online today! Simple and easy online ordering.